To enjoy the best look, feel and sound of your home theater system, it should be installed properly by professionals. Auburn Sounds on Wheels offers just the right solutions to Sumner homeowners for quick and easy home theater installation. Attempting to install the system on your own might not be a good decision. The jumble of wires to be connected to various components can leave you confused, besides taking up a lot of your time. 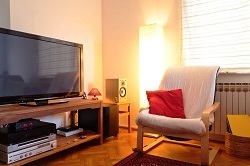 Improper home theater installation can also impact the audio video quality. So let our fully trained and experienced technicians make the task of home theater installation easier with their specialized tools and knowledge. If you want to bring the same amazing experience of a movie theater into your home, then make sure to buy the best home theater system available in the market. However, your experience will remain incomplete without good speakers. You need to select equally stylish and high quality surround sound speakers that can deliver the best sound quality possible. Besides providing services for home theater installation, we also offer a range of surround sound speakers that can aptly match the quality and efficiency of your home theater. Surround sound speakers can take your experience of watching movies to a whole new level with their incredible sound quality, while their sleek and stylish designs will enhance the appearance of your home even more. 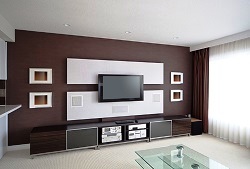 We also assist our customers in Sumner with our highly efficient home theater electrical solutions. 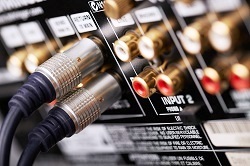 If the wires of your system have become lose or you are facing issues with the quality of audio or video, the electrical system might need to be checked to ensure that everything is connected properly. Auburn Sounds on Wheels is a name you can completely rely upon for delivering the best quality home theater services. We can deliver the desired home theater installation solutions in a highly efficient manner, thus saving you from facing any delays or inconvenience. Get in touch with our team by calling us at 253-217-4800.